The words from this song video are from Hoshea 2:20. They are about the messianic rainbow covenant that is yet to come. neohasid.org was launched on the 10th anniversary of the first Chasidic egalitarian minyan, founded by Rabbi David Seidenberg in NYC in 1995, to help people integrate Chasidic customs, learning, and nusach into new contexts. Over time neohasid has added eco-Torah and earth-centered liturgy to its mission, and neohasid.org is now a member of the Green Hevra. neohasid.org is dedicated to the memory of Maidi Katz, who was a devoted participant in that minyan. 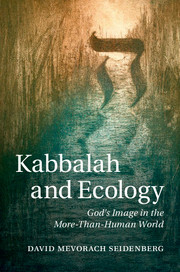 Get Rabbi David Seidenberg's acclaimed book, Kabbalah and Ecology: God's Image in the More-Than-Human World, in paperback for $33 or less ( Amazon, Googlebooks). Read sections, get ordering information, etc. Join neohasid's list to get updates about the book, new liturgy, songs, and more. Read Rabbi David Seidenberg's reflections on Art Green's review of Kabbalah and Ecology in Tikkun, Winter 2017. A Kavanah for Bedikat Chametz on the earth and the soil. Waking Up the Chamets! – A strange rule about Chamets can teach us profound lessons. Haggadah of the Inner Seder ~ Use this haggadah to unlock the mysteries and hidden structure of the seder. Seventh night of Pesach: crossing the sea – download Yehudah Halevi's Yom Layabashah and more! Bring Rabbi David Seidenberg and telescope to your community to teach about astronomy and the stars - in the sky and in Torah! Scroll down for lyrics to the video of Shimshai and Assi Rose singing "V'kharati Lahem"
On that day, I will make a covenant for them with the beasts of the field and with the birds pf the skies, and all creatures that crawl on the Earth, and bow and sword and war I will break from the land, so that they all will lay down in safety. Music by Shimshai with Assi Rose on accordion. You can listen to another version of this song by Amen here! neohasid = ecohasid: 50+ entries under Eco-Torah. Check them out! Kashroots: Noah and the Kosher Laws. Find more of Reb Duvid's articles on food, ecology and Judaism here. Read more about and listen to Reb Zalman z"l's nigun Bati LeGani. Entries on R. Froman, the Moshav band, Rav Kook, the Rebbe's Ohel and more ~ filed under Culture. I guess it's not an oxymoron anymore. Get Earth prayers to add to your siddur! NeoHasid.org is dedicated to bringing the wellsprings of Chasidut as far as the internet can carry them–an open door to Chasidic songs and traditions (aka "Chasidus"), for everyone: women and men, religious or secular, however observant, connected to a Jewish community or not, featuring eco-Torah, egalitarian and eco- liturgies, and cultural reports on the new Chasidus. Participate: Add a song or teaching! Use it: Learn and teach a new nigun to your community. "Liberation and the Land" ~ Part 2. Eco-Torah: The Land Ethic, Eco-Rambam, more. Basics: Intro to Kabbalah, and a neohasid glossary, and links to everything on Neohasid related to gender issues. Listen to Dovid Din's Shir Hama'alot. Initial design, logo, templates created by Shir Yaakov Feinstein-Feit.